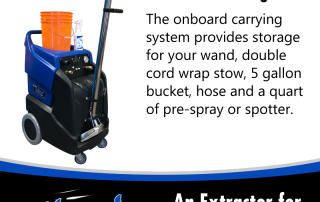 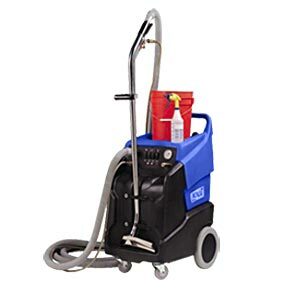 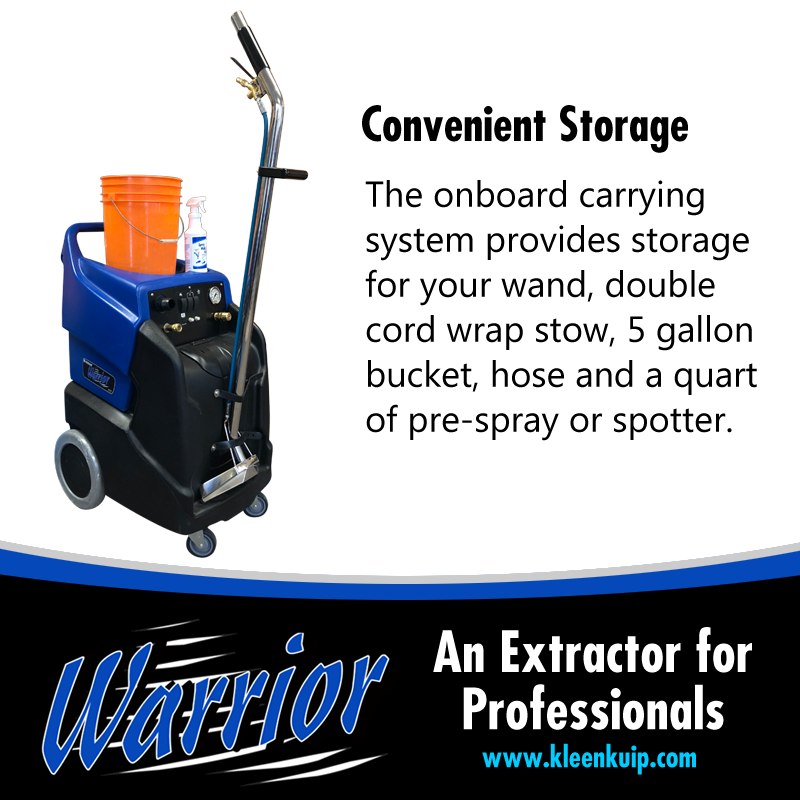 The onboard carrying system provides storage for your wand, double cord wrap stow, 5 gallon bucket, hose and a quart of prespray. 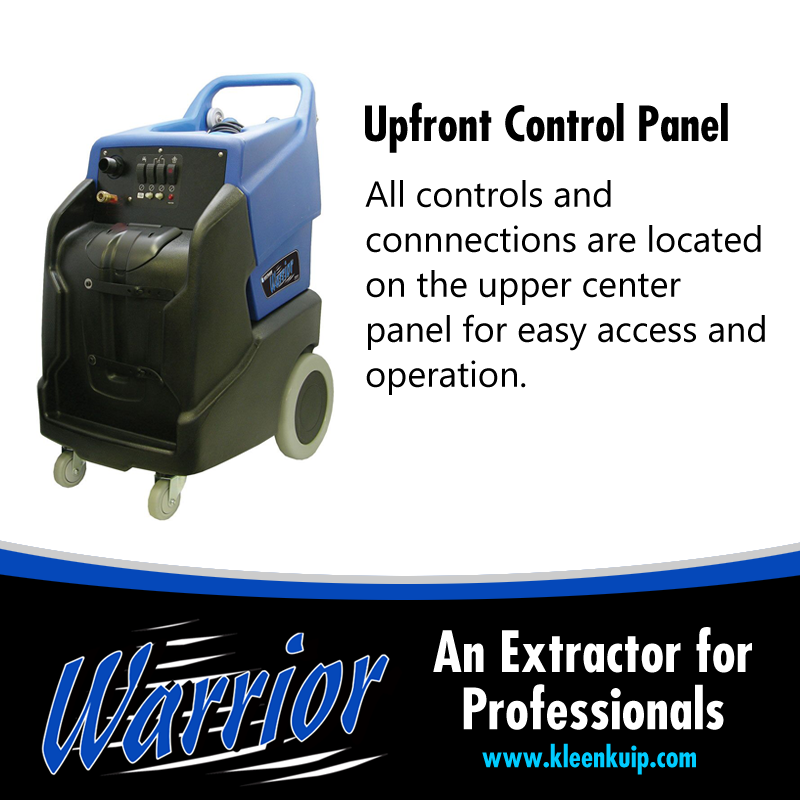 All controls and connections have moved up and are now located on the upper center panel for easy access and operation. 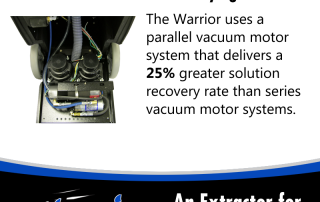 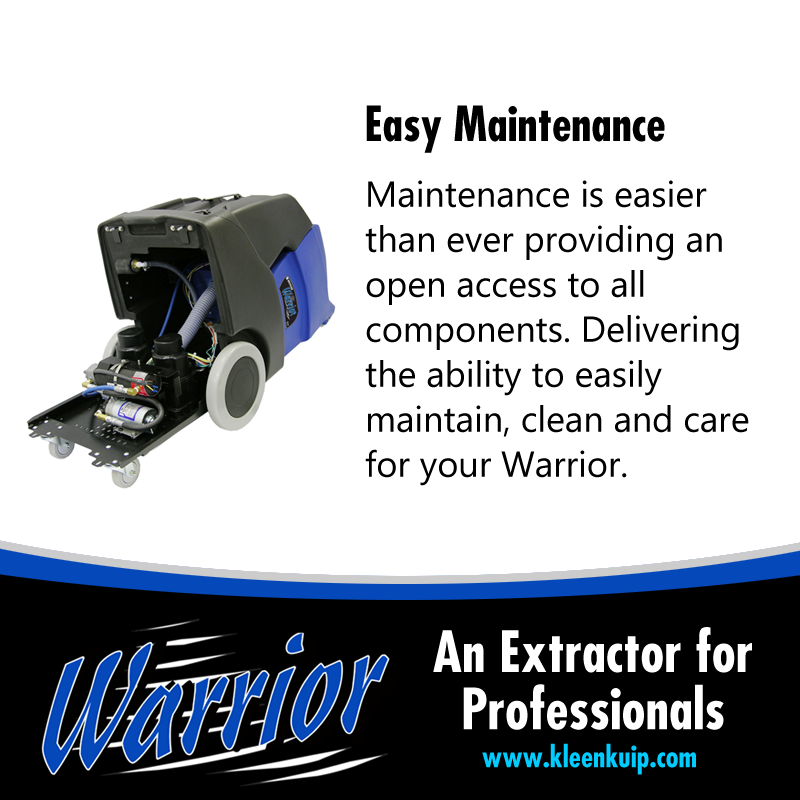 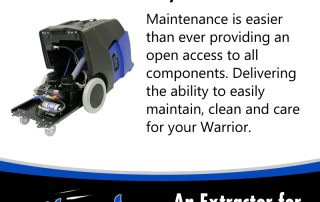 Maintenance is easier than ever providing an open access to all components delivering the ability to easily maintain, clean and care for your Warrior after jobs. 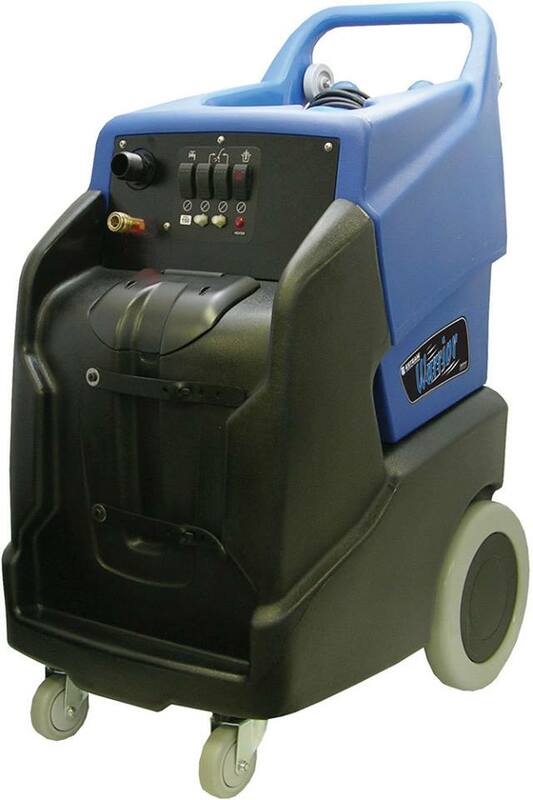 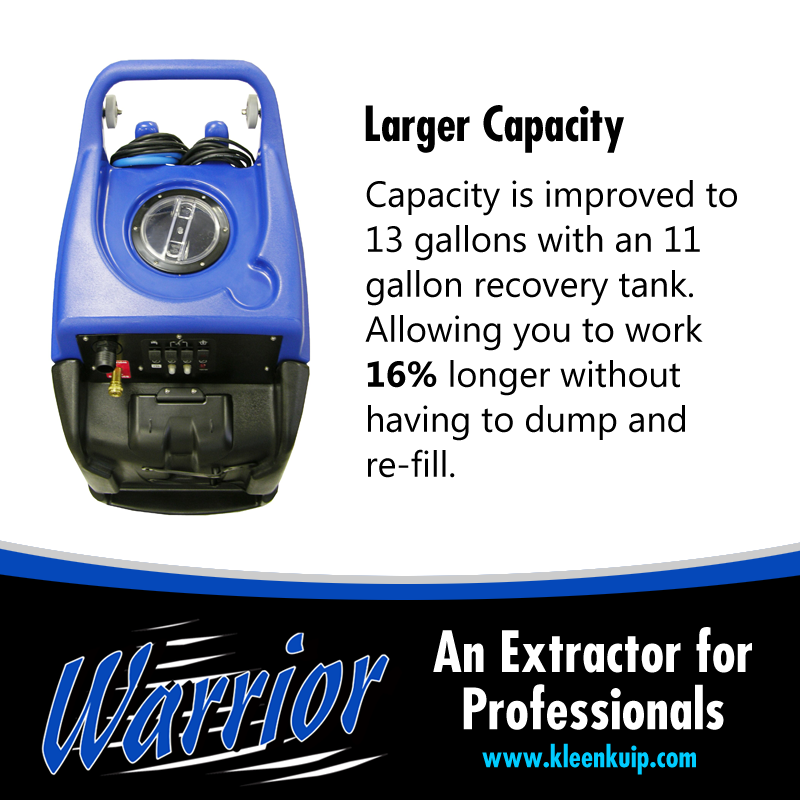 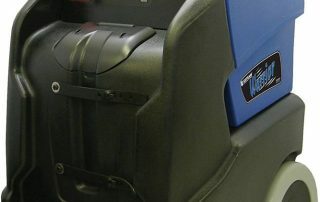 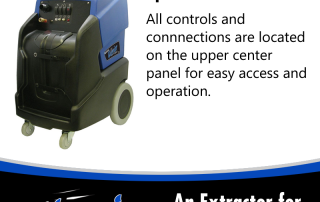 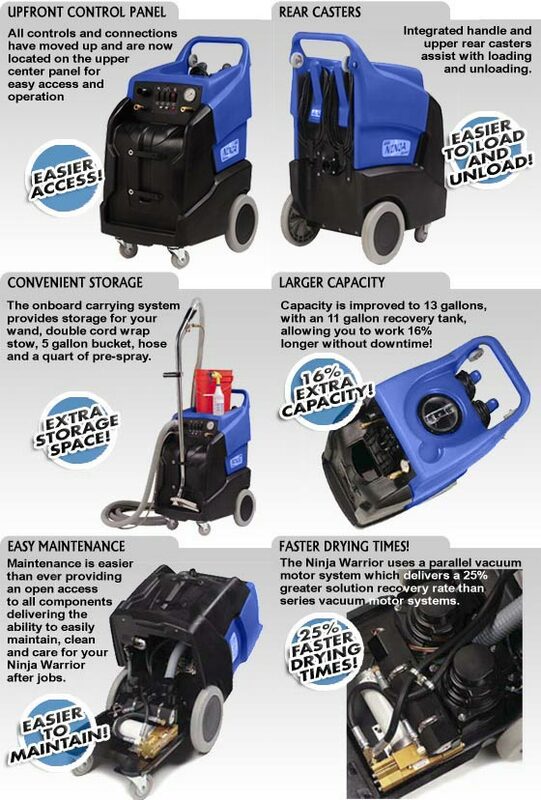 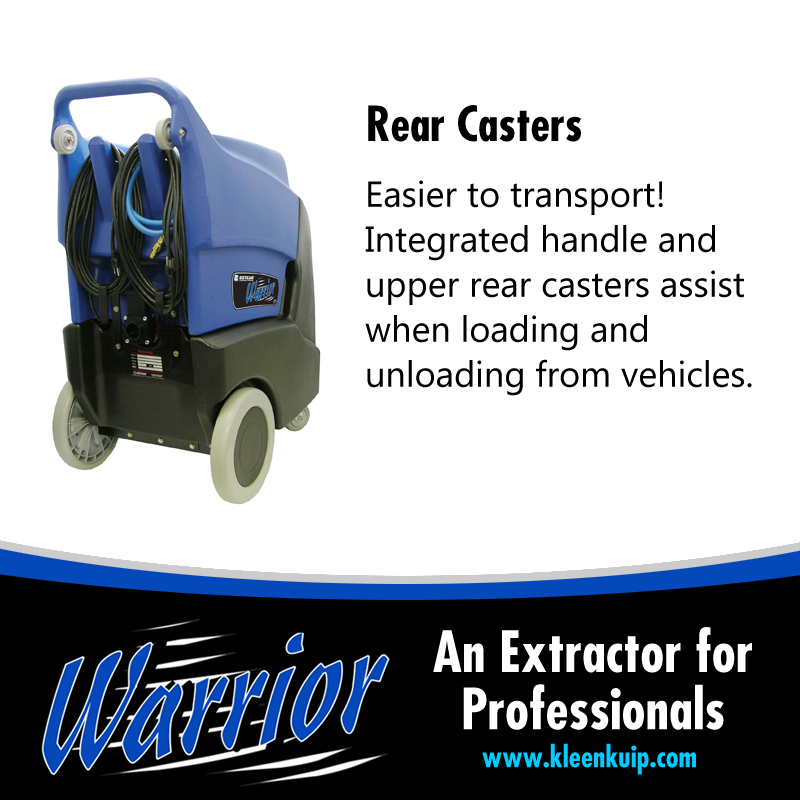 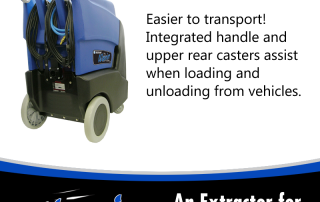 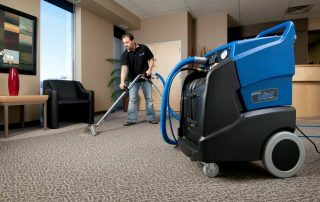 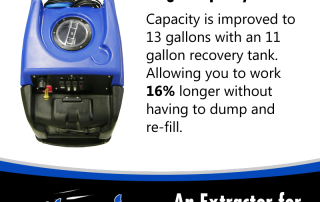 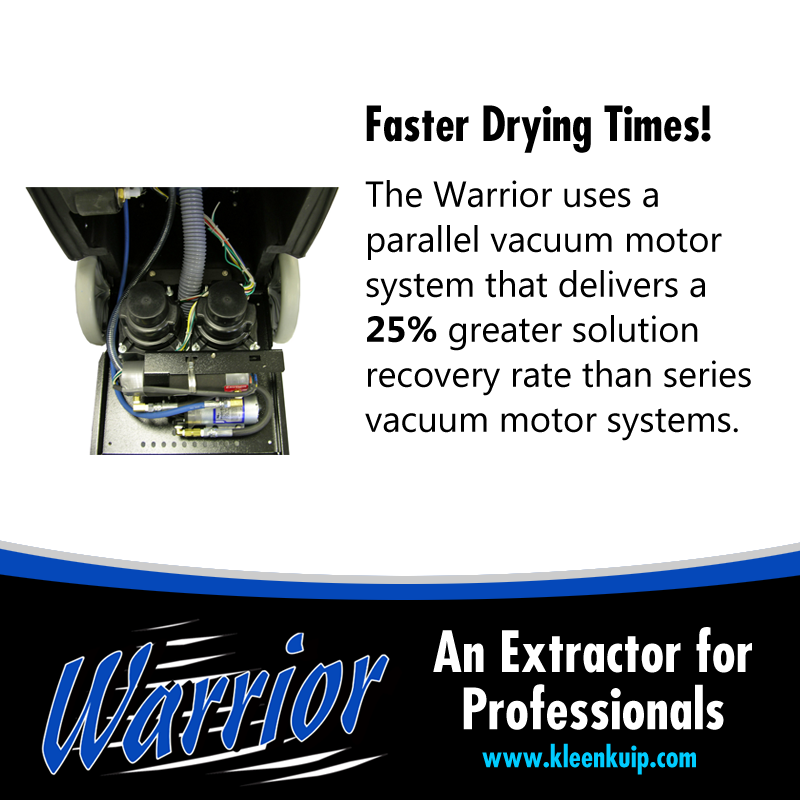 Capacity is improved to 13 gallons, with an 11 gallon recovery tank, allowing you to work 16% longer without downtime.